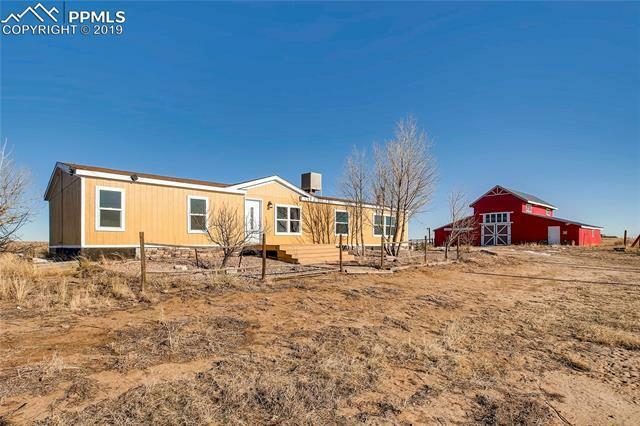 Beautiful remodeled home on 35 acres. The bright open kitchen looks on to beautiful Pikes Peak views in front of a cozy warm wood stove with plenty of counter space and quality stainless steel appliances including a gas range. The massive master suite enjoys views and a five piece master bath with granite counter and plenty of storage. All the baths have been remodeled. There is plenty of fencing on the property to care for the 4 legged family members located minutes to Fort Carson and Peterson Air Force Base.